Jonathan Goldman loves Toronto. Not in a “Toronto Vs. Everybody” t-shirt wearing sort of way, but with unrivaled passion for the city he was born and raised in. 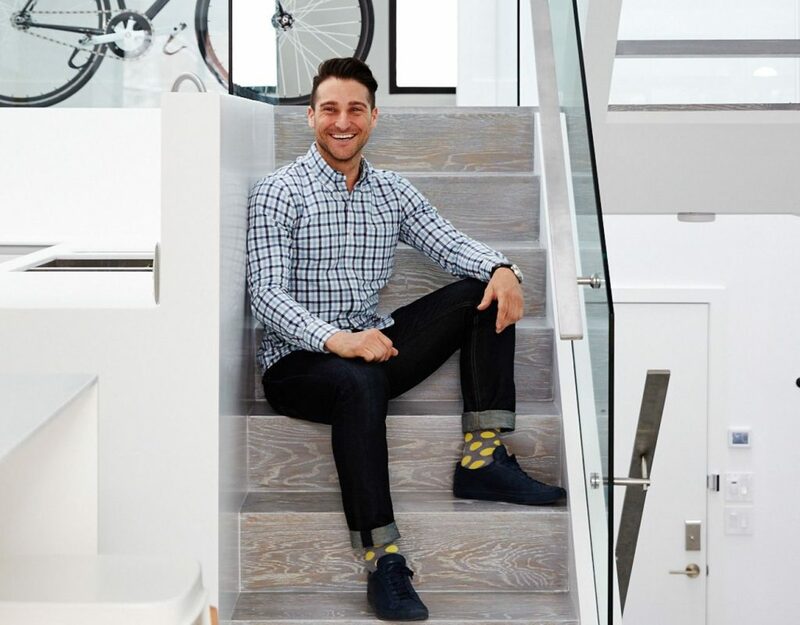 As the President of Stafford Homes, Jonathan works alongside his father, Gary Goldman, to build condominium and townhome communities throughout the GTA. The developer’s most recent projects, Downsview Park Towns and Avenue & Park, have buyers heading north to chase their new-home dreams. 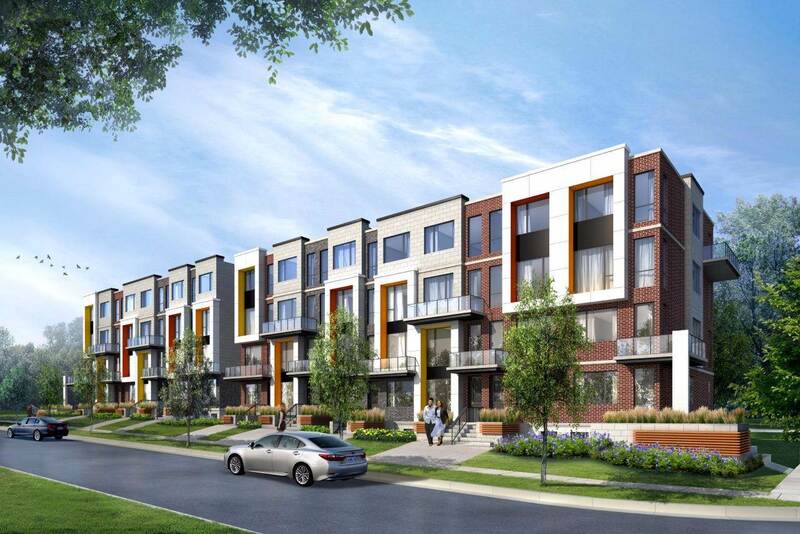 The Downsview Park area will see the addition of 205 freehold townhomes with backyards, priced between $900,000 and $1.2 million. 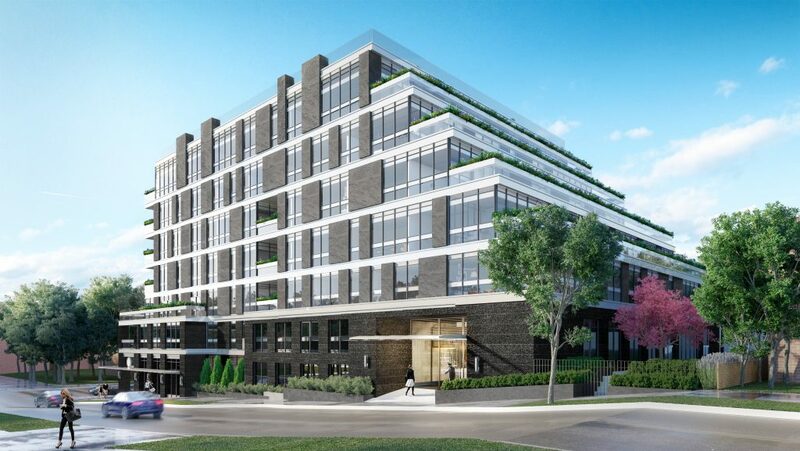 Over on Avenue Road, a seven-storey luxury condominium is taking shape, with 36 sprawling units of more than 2,000 square feet. BuzzBuzzHome caught up with Jonathan to learn more about Stafford Homes, his thoughts on the real estate industry and the vision he has for the City of Toronto. BuzzBuzzHome: Were you always interested in becoming a real estate developer? Jonathan Goldman: Yes, I was. My father is a real estate developer and my grandfather is a real estate developer. My great grandfather was a builder. I have very, very good early memories of spending time with my dad and grandfather in and around development and construction sites. From a very early age, I was learning about the business — things that people aren’t typically introduced to until they finish college and decide what they want to do for a career — I was doing that as a child. By the time I was a teenager, I was working as an agent for brokerage and building companies. When I graduated university, I became an investment agent at Colliers in their downtown office. BBH: What do you like or dislike about the real estate business? JG: What I love about the business is that what we do matters. I honestly can’t think of another business that affects the fabric of our city more than what we do. We are providing the most important thing anyone will ever buy — and that’s not something we take lightly. We don’t make promises we can’t keep and we don’t mislead people. We do our very best to make people happy. I love being involved in something that can positively affect families, childhoods and lives in Toronto. BBH: At 36, you’ve brought a fresh, youthful perspective to the industry. What’s your vision for the future? JG: I’ve been working in real estate since the early 90s — I don’t know if it’s a brand new perspective, I’ve done this for a very, very long time. It’s not the only career that I’ve had, I was in the renewable energy business for a number of years, and we built a very successful renewable energy firm. I eventually sold that business, and partnered with my father, and I think I just carried on with that sense of innovation. I have the same passion — being positive about what we do, and improving on what I’ve learned, but also knowing what works and what doesn’t. Our business is one of details, and the details are very important. As far as my vision for the future, I think that Toronto is an incredible city. But on a global scale, we are still blooming. We are a top tier city, there are so many things in Toronto that are number one globally. I personally think it’s the best city in the entire world. We are still affordable, not as affordable as we were five years ago, but compared to other global cities, it’s incredibly affordable. The reason why people flock by the tens of thousands every single year to put money into the city of the Toronto is because it’s such a wonderful place. We are a conservative city and country — when there were horrible problems in the U.S. housing market, our city was fine. The reason we were fine is because our city is responsible and the people here work together. Whatever anyone reads, our housing market is incredibly healthy. I hope that the national government supports the real estate industry as it is undoubtedly something that supports the rest of the country. Whether or not we’re talking about jobs, or money that we give back… it is huge. For the next couple years, I think we’re still going to stay incredibly strong. BBH: Your latest project, Downsview Park Towns, is situated in a pocket of Toronto that’s developing like crazy. What drew you to this location? JG: People are very centric to the neighbourhoods that they live in, and Downsview Park is its own little world. Not just the park, but the entire community. Every time I build in an area, I start exploring it myself, and Downsview is pretty wonderful. I had lunch today at Speducci, just off Keele, it’s south of the property. I had gnocchi with rabbit and I feel like I’m going to be full for the rest of the week! The first phase of the project, which is run by and owned by Mattamy Homes, has been a massive success. We [Stafford] have 205 homes to sell and I’ve been overwhelmed by the response. We have way too many people interested in the homes for the amount that we have, unfortunately. But we’re really excited. These freehold townhomes that we’re building are going to be the nicest townhomes that have ever been built in Downsview, hands down. BBH: What can we expect from the townhome layouts? Are there any features in particular that stand out to you? JG: We’re building freehold townhomes, which in the City of Toronto, is pretty rare. The thing that is one-of-a-kind is that there are backyards. These are 2,900 to 3,353 square foot homes with three to six bedrooms, starting at $900,000. The townhomes all come with two car parking, half of which have side by side spaces. For the single car garages, I bought these incredibly cool electric lift systems, which are included in the price. I’m giving them to every purchaser with a garage that can accommodate it. That means every home will have at least two parking spots. The townhomes have nine foot ceilings throughout and hardwood floors on the main level. There will be quartz or granite countertops in both the bathrooms and kitchen, stainless steel appliances and an oak staircase on the main floor. The homes are beautifully appointed, and we’re doing an extended deposit structure as well to help people out. BBH: You’re also working on another project, Avenue & Park, which is a luxury, mid-rise residence with only 36 units. How does Stafford Homes define luxury? JG: Avenue and Park is a seven-storey building, and it is a super luxury, boutique condominium. What makes it ‘luxury’? The quality of construction, the design, and of course, the finishes. The finishes here are second to none. 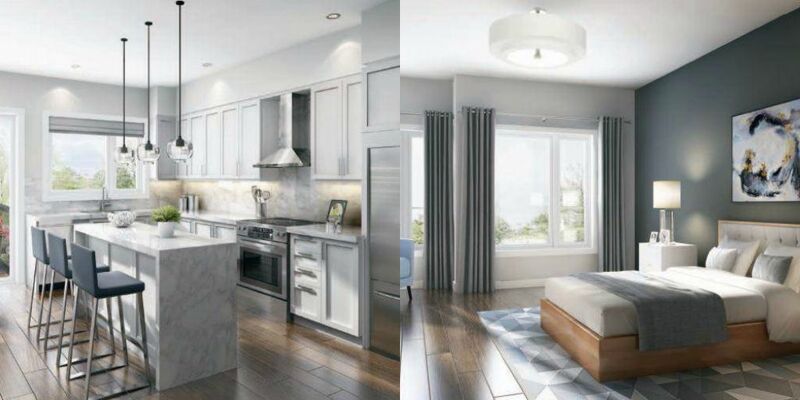 Whether it’s the flooring, the cabinets, the appliance package — our Miele appliance package is, I think, the nicest appliance package a developer has ever bought in the City of Toronto. It includes a gas ranges, integrated wine fridges with glass fronts… these are wonderful packages. When I say luxury, I really mean it. We’re not throwing around that term, we spend very good money and our interest is long term. JG: The building has a huge amount of terracing, which makes the suites really wonderful. We’ve put built-in planters all over the exterior spaces with an integrated irrigation system to make sure they are taken care of. The average suite size in this building is 2,000 square feet, and it goes beyond 3,000 square feet. These are large, livable suites that people are going to use for themselves. We’re not typically selling these [units] for people to rent out. I’ve actually done a tweak to the legal documentation that does not allow people to use Airbnb in this building. I have a very specific style, and I tend to lean towards modern design. I love natural light — one of my favourite sayings is, “beauty can add nothing to light,” meaning if you don’t have a ton of natural light coming into a space, no one will ever actually see what’s in that space. 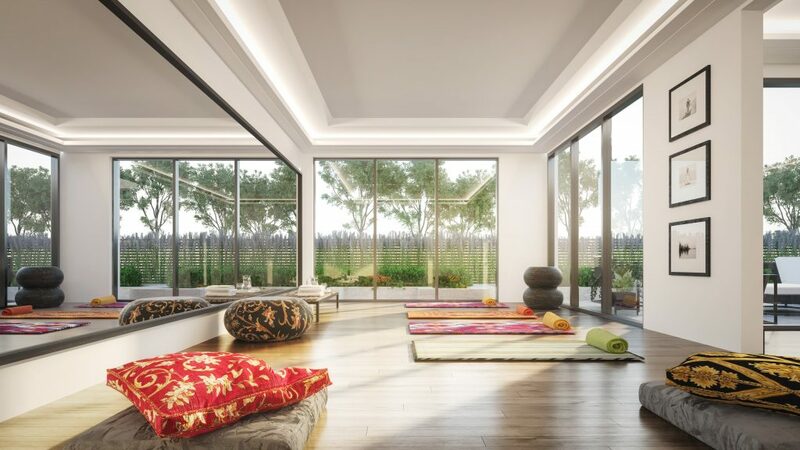 We were very concerned with the ceiling height, and the mechanical and structural elements of the building — how that would affect the units once they’re built. We preplanned all of that, so that when we went to sell the homes, we didn’t mislead people into thinking there were going to be open spaces where there would really be an obstruction or a column. We wanted to be able to sell reality. U31 is a really talented group as well and create beautiful interior spaces. Page + Steele is as experienced as it gets — Sol Wassermuhl and Henry Burstyn designed the building. I think it’s beautiful, and we’re using amazing materials. BBH: What types of amenities will be offered at Avenue & Park? JG: There are amazing amenities. The gym is big, the yoga room is big, the steam rooms, the massage therapy room… the business centre comes with a huge boardroom, the theatre is a real theatre with an amazing AV setup and the party room is massive. It includes a dining area that can accommodate 50 people, as well as an indoor/outdoor space that opens up to the west side of the building. There will be a 24-hour concierge and a ton of services — grocery delivery, in-home chef services, catering, a butler service provided by Alfred, car washing and detailing, dog walking and on top of that we have a huge amount of parking in the building. BBH: How do you see the area evolving over time? JG: It’s a booming area, right across the street from us First Capital just paid $63 million for the lands that Pusateri’s sits on. Pusateri’s reopens on November 17th, and it’s going to be great. It’s literally across the street from our development. It’s probably the nicest, fastest growing neighborhood in the entire city. Do I see it blossoming? I do. BBH: What separates Stafford from other developers in the GTA? JG: I’d say that we are incredibly passionate about what we do. We love the city, we love construction, we love design. We stand behind every single thing that we do in this business and we’ve been doing it for over half a century. I don’t think anyone cares more than we do, that’s for sure. It’s not necessarily that I’m so different, I think that I am supported by an incredibly strong industry. Because there are so many amazing companies out there, the ones that are able to build projects in Toronto are driven to a higher standard. BBH: Could you tell us about the work you do with the board for Mount Sinai Hospital? JG: Mount Sinai Hospital and so many other institutions in the city need private support. In Canada, we’re incredibly lucky to have the health care system that we have. The more that we can support these institutions and charities that need our help, the better. I would challenge anyone out there to find an industry that privately supports more charities and institutions than the real estate industry. Every single day of my life, I get an email from one of my contemporaries asking me to support various causes. It’s a constant and wonderful thing, and I’m going to do that my whole life.